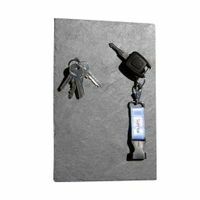 Magnetic Tongue Key Holder - Extra strong! 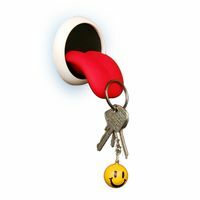 Tongue Magnetic Key Holder - Extra strong! This cheeky sticking out tongue is Magnetic for you to hang up your keys. 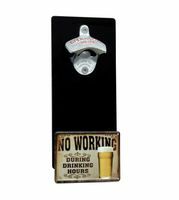 It can either screw into the wall or magnets on the on back means you can place it straight onto the fridge door. The Magnet inside the tongue is strong enough to hold up to 15 Keys. We’ve all had the t-shirt at one time or the other in our lives, we’ve all seen the posters of that famous tongue hanging out… but now, you have your chance to get something more permanent and a whole lot more useful and a novelty, if ever there was one: The Tongue Key Holder! This is the daddy of all key holders for sure. Made to look like old Mick from the Rolling Stones’s tongue, it can be attached to your wall (preferably in the entrance hall for maximum tongue lolling effect) and works as if by magic. Just come home, get the old keys out of the pocket and touch them onto the oversize red tongue and lo and behold, through the magic of magnetics, they stay on the tongue! This gadget is just absolutely hilarious and will immediately get a few laughs from guests and more than a look of envy from every Rolling Stones fan. We all know someone who just forgets where they put their keys and we all know someone who loves the Rolling Stones. So what better gift than the Tongue Key Holder? It works like a charm, is a bit of a cheeky fellow to boot, and puts any old key holder to shame. We love it and having had a look at it in real life, we can safely say that it is gonna really get everyone giggling. There is nothing tongue in cheek about this baby – oh no! It is in your face, and gives satisfaction, every time. 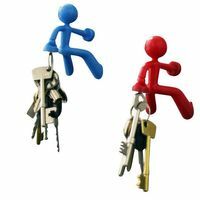 No more lost or misplaced keys, no more last minute chucking things out of your bag or emptying your pockets looking for them… the Tongue Key Holder will keep them all safe and hanging off its tongue! This stylish with key holder in the Rolling Stones Look has the morning search to an end. 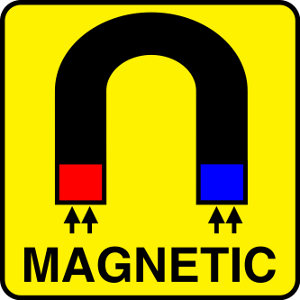 It is no burden to attach to metal any magnetic surface. The extra strong Magnet holds up to 15 keys and is a real eye-catcher. There is a hanger on the traditional use with nail or screw available.